India is a land of many traditions and customs. A home to a number of religions as well, India celebrates all festivals, be it Idd, Christmas, Onam or Diwali. If festivals are not enough, this vast country has enough birthdays, anniversaries, weddings and baby shower parties to celebrate. It is, therefore, no surprise that gifting is an everyday activity that is done across the land. The advancement in technology has also ensured that you can send gifts to anyone, anywhere in the world, that too by spending a few minutes on your mobile, personal computer or laptop. Ranging from bars to truffles there is a huge variety of chocolate available, whether it is in shape, size, texture or filling. Let’s look at some gourmet selection that is easily available online. This chocolate is a luscious delight for all chocolate lovers. It comprises of crunchy chocolate chips that are dipped in chocolate and blended with organic sugar. It is an ideal gift for any occasion, anniversary or celebration. Chocolate coins are always an ideal gift, to send, to receive and to savor. These coins are made from the finest milk chocolate and molded into the shape of a coin. The coins are then wrapped in gold foil. These coins also make ideal gifting accompaniments with flowers, teddy bears, and cakes. The coins can also be used to make chocolate bouquets. This bar is a blend of slightly bitter, sweet and salty bringing a perfect explosion in your mouth. These mars are curated by melting dark chocolate, and blending it with crunchy delicious roasted almonds, making this chocolate the ideal blend of taste, texture and crunch. Chocolate bars are handmade and are made with various gourmet flavors. These bars make an ideal gift for anyone, whether they are recovering, graduation or just celebrating friendship. 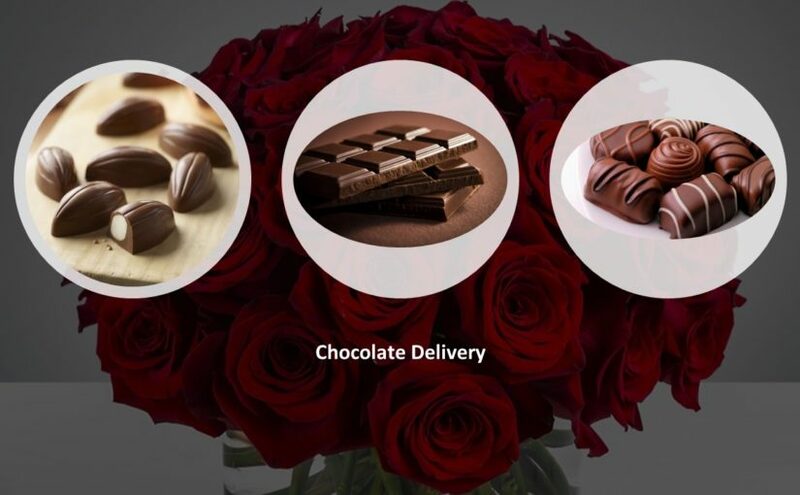 Nowadays there are a number of platforms that are available for sending gifts to your loved ones. All you need to do is select the item that you want to send and details of where and when you want to send it. It becomes the responsibility of the service provider to ensure that your gift reaches the recipient at the right time. These platforms are very much closed the distance between you and your near and dear ones. These online portals are now very much a part of our everyday celebrations and make all occasions special. With these services, one can rest relaxed and enjoy all the festivals and celebrations without being stressed about what to give, when to give and how to give.